Sparrow & Crowe has a Diamond Order Code! Due out in the May Edition of Diamond’s PREVIEWS catalog, the first issue of our comic book now officially has an order code! 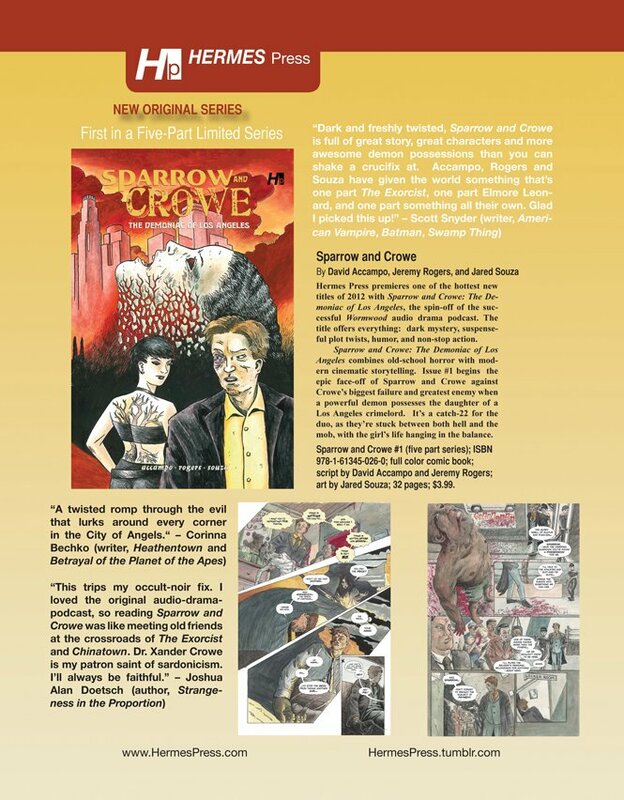 You can go to your local comic book retailer, and ask them to order Sparrow & Crowe from Diamond! The order code is: MAY121179, and the book is located in the HERMES PRESS section of Diamond’s catalog! Check out our full page ad that will appear with the solicitation for the first issue!